Everybody wants to look cool when they’re out cruisin’, and there’s no better way to do that than with D-Tech, and no better place to do that than in Cars Land at Disney California Adventure park. So how do you achieve that next level of cool? It’s simple! Check out these new cases for your iPhone 5, featuring the Cars Land billboard and the Cozy Cone Motel. They’re available now at Ramone’s House of Body Art and Radiator Springs Curios for $34.95 each. For those of you a “hare” away from getting an iPhone 5, this might just persuade you. 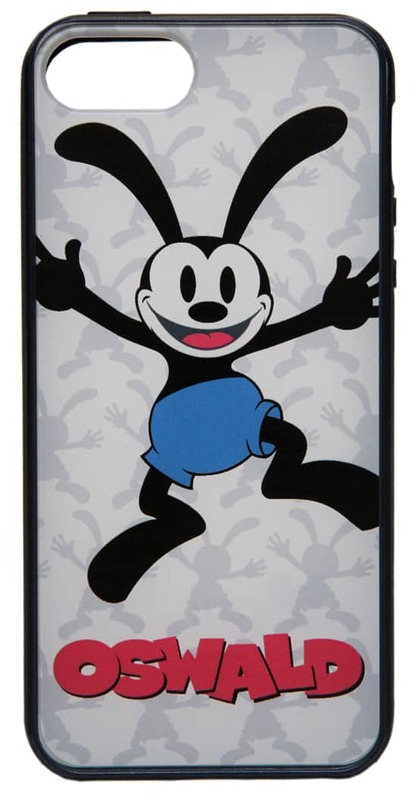 With a little luck, you’ll be able to personalize your phone with an Oswald-inspired case. Available now at Elias & Co, Off the Page and of course, Oswald’s for only $34.95. 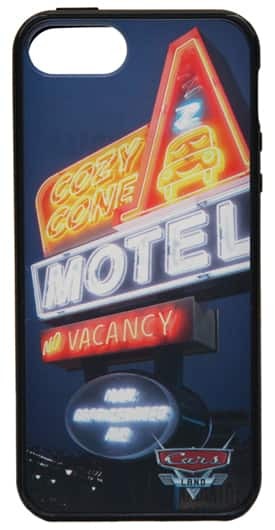 Cozy Cone case is 400007569485. Cars Land case is 400007544529. I called the Disney Merchandise Guest Services to order the Oswald case and they said that they can’t find it. Do you have the SKU number for the Oswald case? No plans for that yet Stephanie, but I’ll keep you posted. So excited! Called the number and placed an order for Mail Order for the Oswald case! Thank you!!! I know Norman, I feel your pain. If any other styles come out, I’ll be sure to let you know. 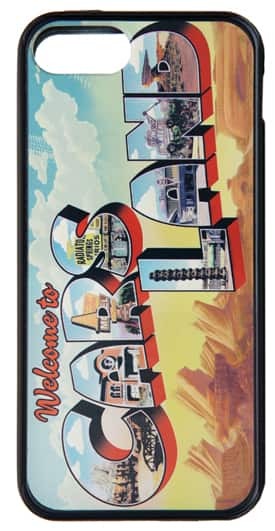 Is Disneyland ever going to get the iphone 5 case shown here several months ago that has the castle and the fab 5 characters eating different treats in front of it? 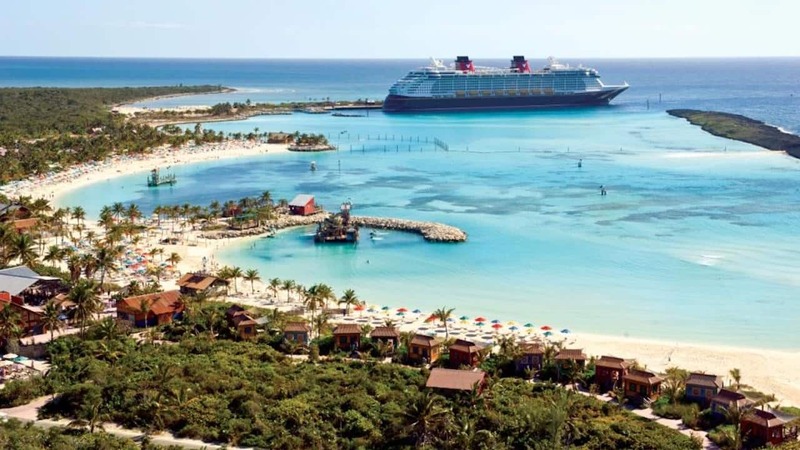 WDW has received their version long ago but so far the Disneyland one has yet to be seen. Will the Oswald one be available at Disney World or online? 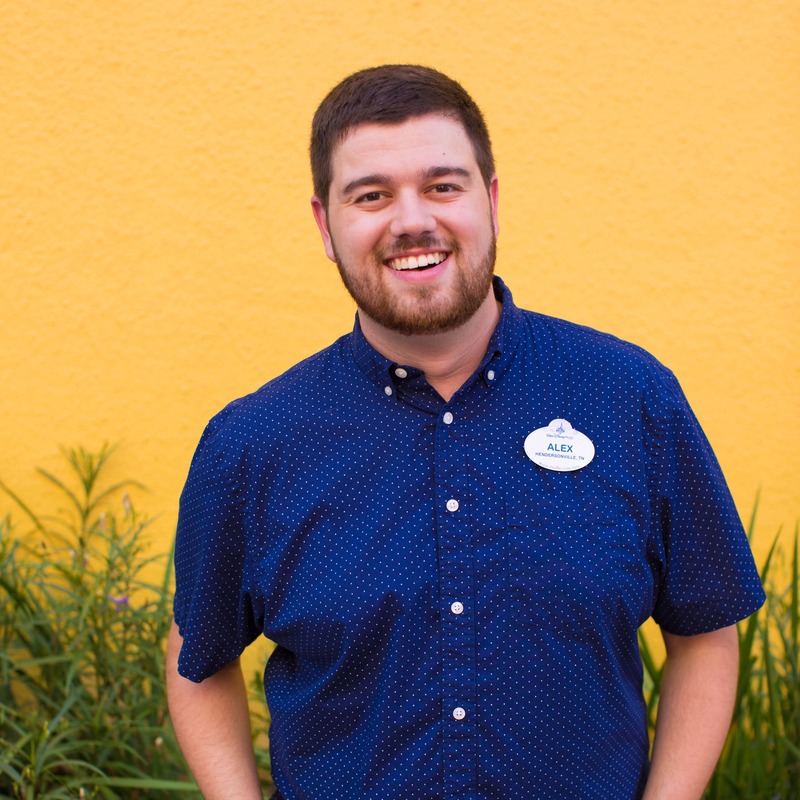 Matt, contact Disney Merchandise Guest Services at 1-877-560-6477 or via e-mail at Merchandise.Guest.Services@DisneyParks.com to inquire about purchasing. Will these cases be available to purchase on Disneystore? They are both very cool. Merchandise.Guest.Services@DisneyParks.com to inquire about purchasing. Are these going to be limited edition cases or open editions? Craig, these are all actually considered a limited release. So definitely get them while they are available. They look great. Are there any plans to release and ipad mini or ipod touch 5th generation cases? Hey Kyle! That’s a great question. I can certainly ask the team and look into it.